Matches played at our Recreation Center at Hilltop! Teams will play eight matches over eight weeks. 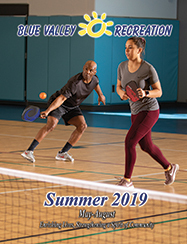 Matches are played at the BVRC Recreation Center at Hilltop, located at 7720 W. 143rd Street in Overland Park. All matches will be 6-on-6. For ages 18 and up (must be out of high school). Coed Rec / Intermediate teams will be combinations of males and females. Women's Power / Intermediate teams will be all female. To avoid forfeit, teams may play with 4 or 5 players. Women's Power / Intermediate - Matches played between 6:00 and 10:00 pm. Coed Rec / Intermediate - Matches played between 6:00 and 10:00 pm.